Most bamboo does not flower often. There are three different flowering patterns for bamboo: annual, sporadic, and gregarious. Which pattern is followed is determined by the bamboo species. Very few species of bamboo flower annually. The seed from annually flowering bamboo is rarely viable. Sporadic flowering occurs irregularly and is usually confined to a certain geographic area. Most of the 1,500+ species of bamboo flower gregariously. The timing is regular. Depending on the species, it may be once every 20 to 120 years. All the plants within a particular species across the world will flower, usually within a year. Many of the plants will die. The death of the bamboo plants following their fruiting means the local people lose their building material, and the large increase in bamboo fruit leads to a rapid increase in rodent populations. As the number of rodents increases, they consume all available food, including grain fields and stored food, sometimes leading to famine. These rats can also carry dangerous diseases, such as typhus, typhoid, and bubonic plague, which can reach epidemic proportions as the rodents increase in number. The reasons so much bamboo dies after gregarious flowering episodes are unknown. There are theories, of course. Two dominate. The bamboo expends so much energy in the flowering that stress kills the plants. The parent plant is creating an optimal environment for the seedlings to survive by freeing up light and water resources. 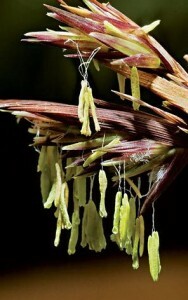 Bamboo culms age prematurely during the flowering process. They become brittle and are not suitable for building or crafting. If you observe an impending flowering event, you might consider harvesting the bamboo beforehand. Has any of your bamboo flowered? This entry was posted in All, Bamboo around the world, Bamboo in the garden and tagged bamboo, bamboo flowering, bamboo flowers, bamboo forest on 03/01/2014 by Deb. 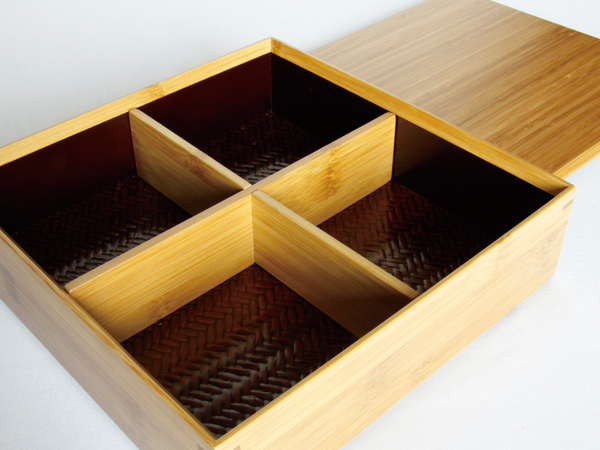 The Asahi Shimbun featured a very stylish bamboo bento box. Further investigation revealed a whole range of them. I know where I’m going next time I’m in Kyoto. Couldn’t resist this one: greased bamboo pole climbing. 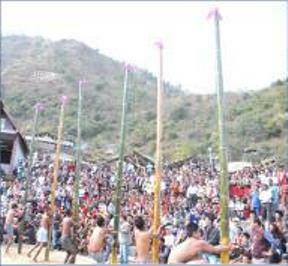 The competition is part of the Naga (India) Hornbill Festival. The Nagaland Post reported that the winner took home the equivalent of about A$270. The poles are nearly 5 metres high. Medical texts written on bamboo slips were recently unearthed during construction of a subway in Chengdu, Sichuan province, China. The 920 slips are thought to date from the Western Han dynasty (202 BC- 9 AD). Strips of bamboo were the standard writing material during the Han dynasty. More creative bamboo furniture features on Design Boom. This one sells for about A$3,500. 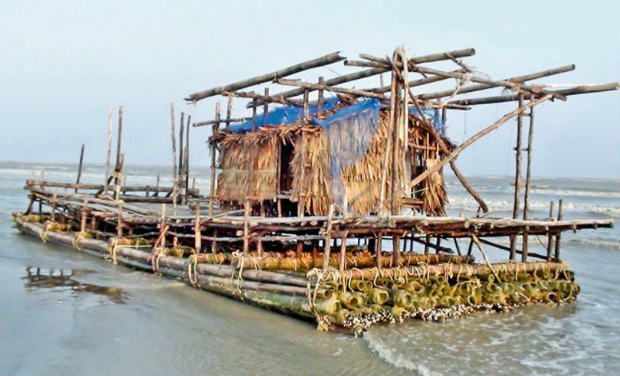 This unmanned bamboo raft just turned up on the shores of India, near the northern tip of Sri Lanka. Authorities suspect it came from Burma. 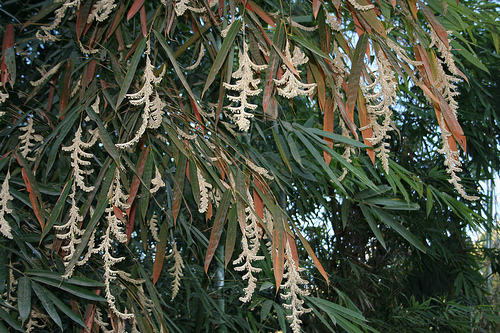 Last month there was a note about the problems of bamboo flowering in Burma. To address a similar problem in India, the Agricultural ministry is set to approve a program to combat bamboo flowering and the expected subsequent rat infestations in Arunachal Pradesh state, in the north-east. 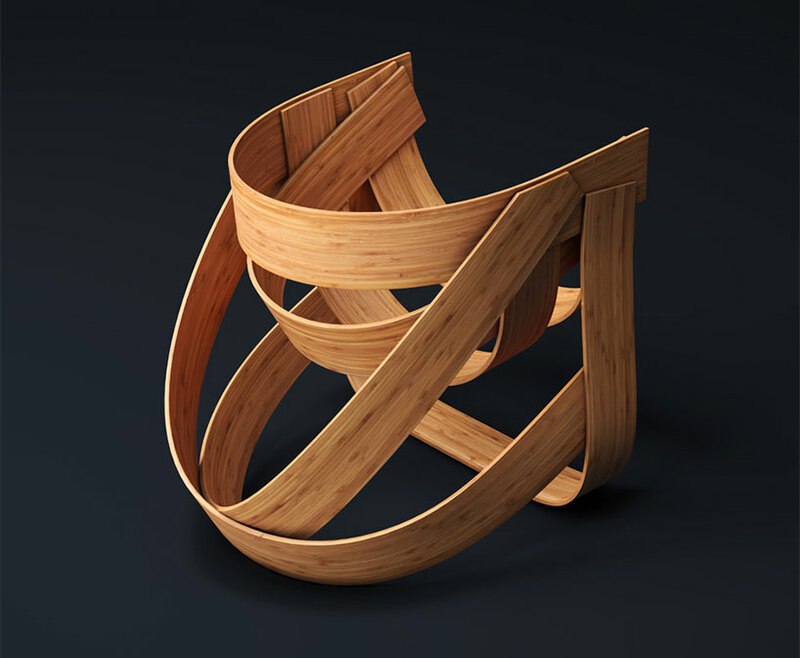 If there’s not enough bamboo stuff for you in this post you could look at Design Boom‘s top 10 bamboo designs for 2013. Only a few of them have featured here. This entry was posted in All, Bamboo around the world, Bamboo craft and tools, Bamboo on the Internet and tagged architecture, bamboo flowering, bamboo raft, bento box, furniture, greasy poles, Japan on 28/12/2013 by Deb.